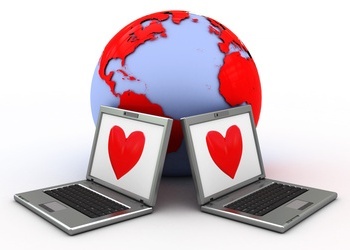 Living in rapidly changing world of digital technologies, we all get used to the idea that online international dating literally breaks the boundaries between countries people live in, races, ethnicities and cultures. It seems that soon the upcoming generation of youth will forget about the way their parents dated not that long ago. However, when it comes to the real life, not all the teens of the world these days demonstrate their readiness to give up the idea of traditional dating – mostly due to some stigmas and customs existing in the society they belong to. So let’s have a look at the most recent interesting facts about the ways teens date in other countries outside the United States. In Australia, the majority of teens prefers to hang out gathering in large groups and as a rule do not marry until they reach the age of 18 or 19 years old. Surprisingly, girls often ask the boys out and (can you imagine that?) pay for the date as well. Young couples usually go surfing together or take part in barbecue parties. Dating isn’t permitted for people under fifteen years old. Only coming of age, guys and girls date in big groups, spending their time together at dancing parties or some local clubs. Teens of Spain usually choose to join a club or a group of friends sharing the same interests and activities, called pandilla. Here dating is a deal for couples; both girls and guys can ask each other out and usually split the date’s cost. In Afghanistan, dating can rarely be seen, just because almost all the marriages are arranged by the teens’ parents beforehand (sometimes at an early age of the potential “newlyweds”). Besides, there are separated boarding schools for boys and girls in Afghanistan. Moreover, there’s a 7:00 pm curfew for girls and 11:00 pm curfew for boys. Dating in Iran is against the local laws. According to the Muslim traditions, teens live their separate lives until they come of marrying age. Only then their parents will introduce them to each other, after that in most cases comes the marriage arrangement. The overwhelming majority of high school students in South Korea and Japan prefer to studying to dating. Dating time for young people usually only begins in college. According to the unwritten local rules, only boys ask the girls out and pay for the date.